Here is a brief summary of how to avoid top three common infographics create mistakes and design great content infographics. 1) Mistake One: inaccurate information. One of the most unforgivable things you can do is create an infographic that give the wrong or inaccurate information. 2) Mistake Two: distracting or boring people to sleep. The most common mistake our designers see is poor organization. Often, this means that your infographics content is too boring. 3) Mistake Three: your infographic has too much text. 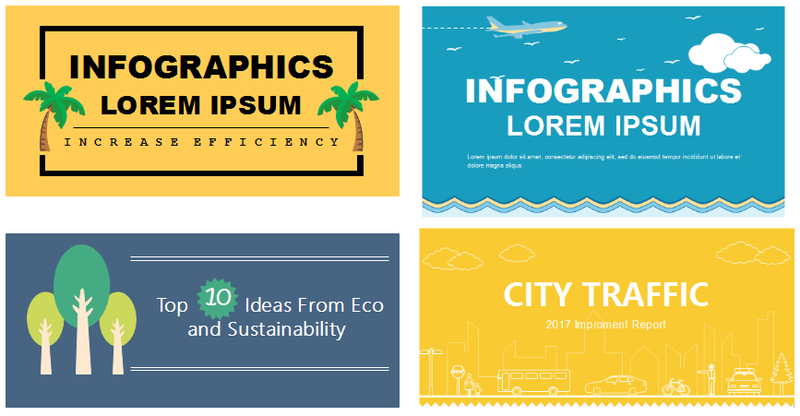 If an informative infographic is too wordy, it will make audience focus on the text rather than the visuals. 1) Solution One: make your message accurate and believable. Accurate date, customer quotes, testimonials, expert support, appropriate images can make your messages persuasive. 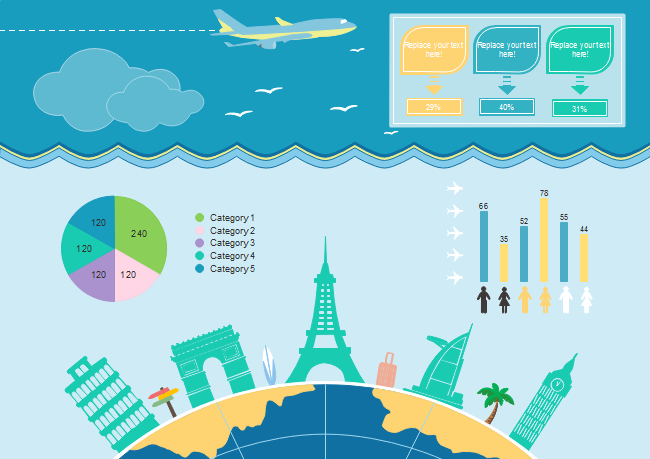 Please do some research and make accuracy a priority when you create an infographic. You need to keep your text as tight and simple as possible. 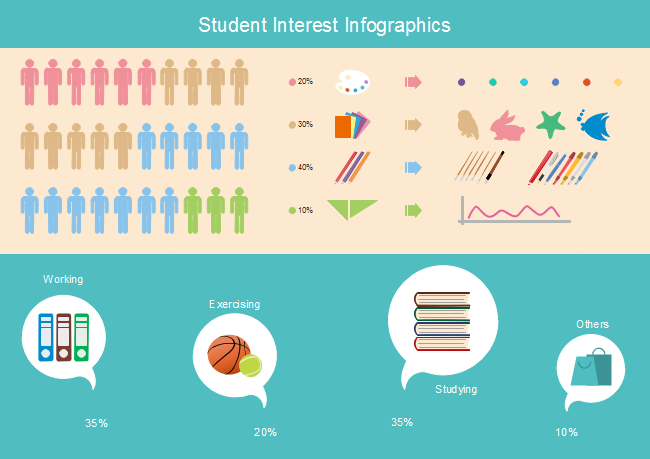 Simply free download this Edraw Infographics Creator to draw information-rich and attractive infographics.